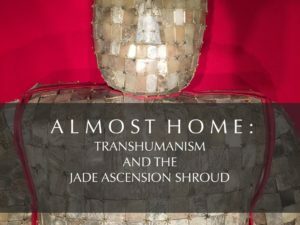 The first use of the word Transhuman was by the 13th century Italian poet laureate and suspected/probable Cathar, Templar and heretic, Dante, in Paradisio, the last book of his Divine Comedy. The poem, considered one of the greatest works of human literature, is a Cathar inspired visionary journey into the afterlife and a guide for our ascension. It also offers an alternative to today’s Transhumanism. 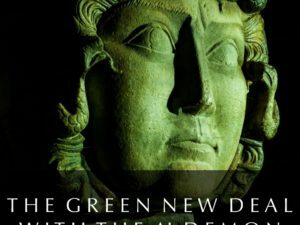 This fact will come as a surprise to scholars who suggest the term “transhumanism” was first coined in 1957 by Julian Huxley, a British evolutionary biologist and promoter of eugenics (who advocated culling the human herd ala the Nazis), who used the term in his book New Bottles for New Wine. Considering Transhumanism is about packing our skins with computer chips, Huxley’s title is more than poetic. Readers of my book, The Skingularity Is Near, are aware that the gods of Silicon Valley (aka the Digerati) are developing a new skin for humanity that will give us vastly advanced capacities such as health, beauty, longevity, athletic ability, and general mental ability, as compared to ordinary humans, and will fulfill Huxley’s vision of ‘positive eugenics’. With our without our permission they seek to transform the entire human race via technology and unite it as one Superbeing. Transhumanism is a more palatable or higher sounding term for the lower eugenics. It is the goal of UNESCO, the UN’s global organization dedicated to the creation of a single world culture founded by Huxley in 1947. Huxley believed the world was ready for a new religion to replace the old superstitious ones. The UN would build the new Tower of Babel of this religion. You can read a slightly paranoid, but factual, update on the UN’s implementation of Artificial Intelligence to fulfill its globalist agenda here. New Bottles, New Wine is a play on the mysterious parable attributed to Jesus: “And no one puts new wine into old wineskins…but one puts new wine into fresh wineskins (Mark 2:22). Putting fresh wine in old “stretched to the limit” skins is asking for trouble. It’s like trying to get new results with old behaviors. Transhumanists believe we must make new skins for the ‘new’, ‘gooder’ human to inhabit. Our old skins and human behaviors simply will not due. Therefore, reason Transhumanists, if we change the skin via technology we can control behavior, and if we can control behavior we can change humanity. Those Fitbits and Apple Watches that monitor blood pressure, heart rate, and basically everything else, are the front door of this type of behavior modification or mind control technology. In March, 2017 Elon Musk launched Neuralink to meld humans with A.I. in an effort to save us. What will happen to those who do not take the chip or get the new skin (like some ‘older whiners’, like me, may choose to do)? What if they are deemed unfit or defective humans by the new ones? Huxley’s writings on eugenics provides possible answers, beginning with sterilizing of the unfit or ungooder (aka those unretrofitted with chips?) and identification of ‘defective’ humans (the unaugmented?). He also advocated for: prohibition of marriage of the unfit and segregation of institutions containing degenerate individuals. As I write this article, MIT Technology Review announced that the first human embryos have been edited in the U.S., demonstrating that we can improve the DNA of human embryos. The ‘news’ here wasn’t the capability, but the location. Previous reports of editing human embryos were all published by scientists in China, who are considered to be less than ethics challenged. The U.S. intelligence community last year called this type of gene editing (known as CRISPR) a potential “weapon of mass destruction.” It appears the unspeakable is becoming unstoppable. I believe there is…and this is what Dante was, prophetically, pointing to in the Divine Comedy and what he actually meant when he coined the term Transhuman before Julian Huxley hijacked it. 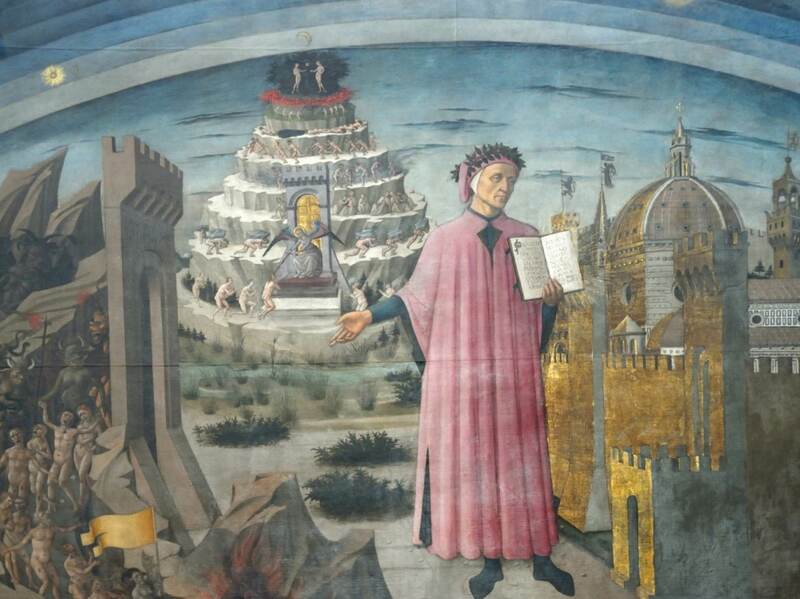 Dante’s Divine Comedy is about the soul’s journey to God and how he changed his earthly flesh into celestial flesh, prompting the first dropping of the word Transhuman. There is nothing funny, ha ha, about Dante’s poem. In the classical sense the word comedy refers to works which reflect belief in an ordered universe, in which events tend toward not only a happy or amusing ending but one influenced by a Providential will that orders all things to an ultimate good. This infers a belief in God, and a God that is actively involved in our daily lives and our ascension. 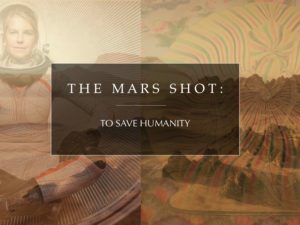 The ‘how to’ change human flesh into celestial flesh question has been on the human table for thousands of years, especially every since Babylon in 600 B.C. Dante updated it in a dramatic fashion. The Italian genius was a great assembler of esoteric knowledge. He drew from the Greeks, Romans, early Christians — any and all — who could assist in answering the fundamental question we all face. Where do we go after we die? How do we get there? He wasn’t the first to visualize, preview or rehearse ascending, but he was among the many who consciously seek the how to of this process. Dante’s journey, and the poem, is divided into three sections: Hell, Purgatory and Paradise. This is our ascension journey, too. The descent into the underworld precedes our ascension. This descent is a sort of ‘pop quiz’. The reason for this is because ‘ontogeny recapitulates philogeny’, meaning we have to go through, recapitulate or ‘review’ all our previous states of being throughout our evolution just to make sure we have transcended them. 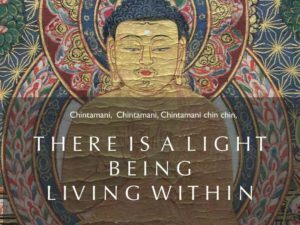 One reason for this is that they represent where we came from, demonstrating that we are morphing beings who have transited, transfigured or transformed through many previous states (that we don’t have to repeat)… and have many ahead of us, as well. Dante knew our next goal was to acquire the white robe of these Chosen Ones or Perfect Ones. The idea is that if we want to be like the perfected ones we must dress like them…lightly. This white robe is also worn symbolically by the Knights Templar, the holy militia or God’s army, of which Dante was a member. Dante studied at Florence’s Santa Maria Novello. 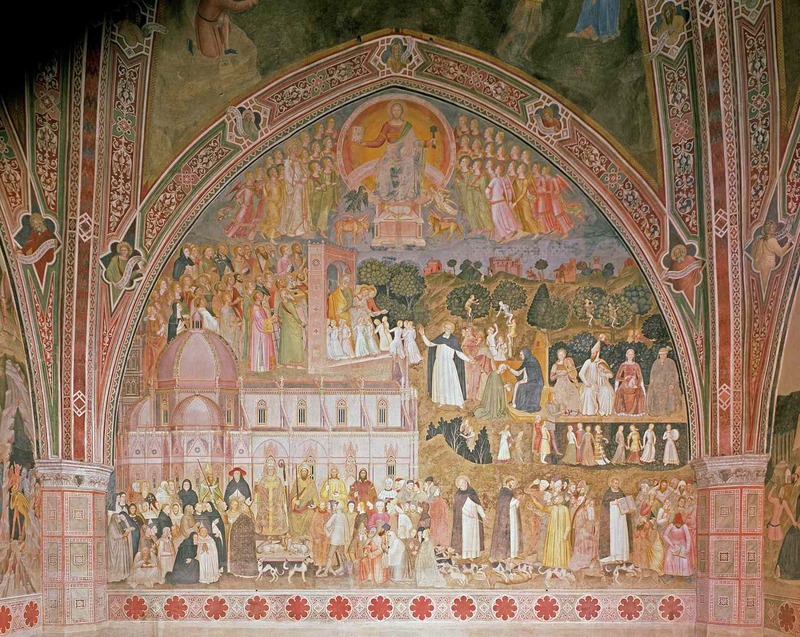 The Spanish Chapel, the old chapter house of the monastery shows the white-robed Chosen entering the gate to the high mountain, Sion. This is one of many ascension painting we will study during our “Immortal Italy” tour May 8-22, 2018. Perfection and Heaven are terms for a state of being — and a state of doing — superior to ordinary earth life. Dante is telling us we can consciously upgrade our consciousness while on earth and ‘ascend’ to a superior place and state of being. In our future, our future selves will inhabit new skins of light. New behaviors will accompany these light bodies. My work is devoted to identifying these new behaviors and assisting souls in implementing them so that the capacities of our future selves can be lived now. In Buddhism, these invaluable behaviors are called paramitas (“perfection”, “completeness”). These behaviors include generosity, patience, kindness, truth speaking. The root, para, means “beyond” Doing the paramitas completes us and takes us beyond ordinary human suffering. The Cathars (or Good People) of Southern France were gnostic ascension masters who claimed to possess the true secret ascension teaching of Jesus, one composed of symbols and known as “the Book of Love.” They were massacred by the Catholic Church in the first European genocide from 1200-1244 to prevent the Book of Love from gaining widespread acceptance. Like the Essenes the Cathars sought a return to our Edenic State, our primordial condition before the fall. Back then, we weren’t in a lesser state. We were in a supra-human phase. This is same state of being that Transhumanists seek to attain via technology. The Cathars utilized the Ascension of Isaiah, an early (2nd-3rd century AD) Christian text that follows the journey of Isaiah, and the ascension of Jesus, through the Seven Heavens, where Isaiah gets his robe. He also saw “Enoch and all who (were) with him, stripped of (their) robes of the flesh; and I saw them in their robes of above, and they were like the angels who stand there in great glory” (Ascension of Isaiah 9:10). This text was used as a visualization tool to induce visions of the afterlife and to connect with their future selves. Through repeated ‘chanting’ of the text the body of the Cathars began to know what it felt like to be in heaven among the angels and how to become them. Today, feeling it to manifest it is a principle of quantum healing. 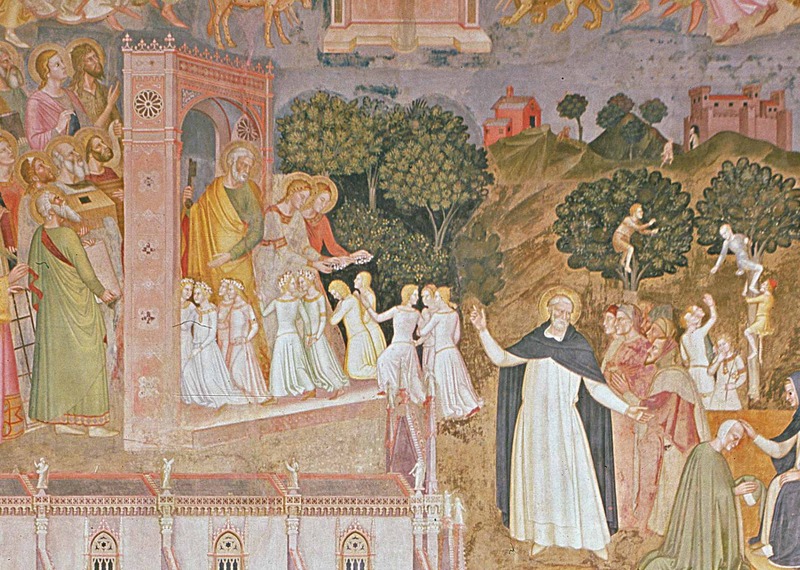 In the view of esoteric Dante scholars, such as Gabriele Rossetti, Eugene Aroux and Rene Guenon, Dante’s Divine Comedy is a metaphysical-esoteric allegory that simultaneously veils and unveils the successive phases through which the consciousness of the initiate passes in order to reach immortality (angelhood/perfection). In addition to the Cathar teachings, it is drawn from Eleusis, Karnak, and India. 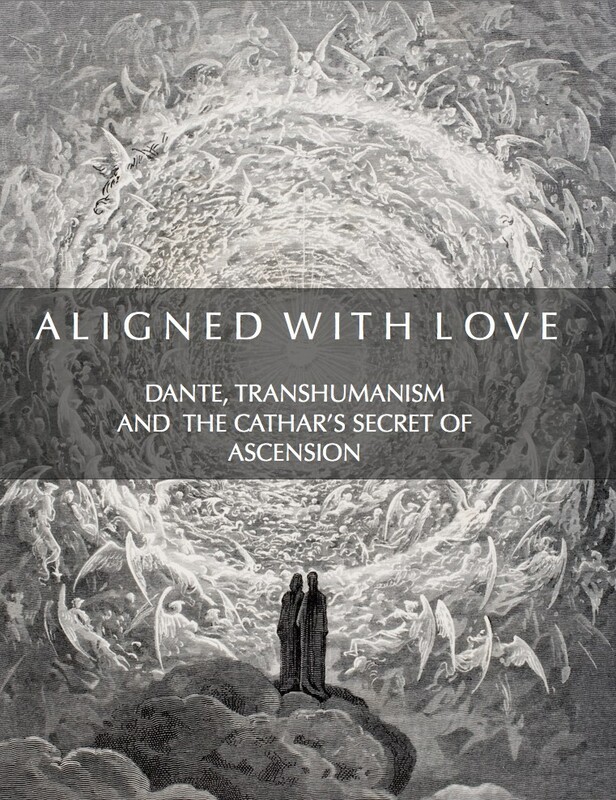 While some wonder how Dante could have contact with these teachings, others, such as this author, believe he had tapped into the unifying cosmic truth woven through these teachings. Dante’s vision also has elements of Mohhammned’s 7th century ascension to the celestial spheres (Mi’raj). In a single night Mohammed physically and spiritually ascended the seven levels to heaven with the archangel Gabriel, where he spoke with God. Don Miguel Asin Palacios has shown the striking correspondence between the Divine Comedy and The Book of the Nocturnal Journey, especially the fact that both heaven and hell are accessed via an immense funnel formed by a series of levels. Like Glaucus when he tasted the herb of immortality that made him peer among the ocean gods, Dante’s transfiguration is complete. to make the candle ready for its flame. Dante witnessed the power of the soul to cloak it self, uncloak itself, and then re-cloak itself. He witnessed the power of resurrection and ascension developed by the guardians of the holy land — the Essenes, Gnostics, Cathars and Templar. Within these circles Dante can discern the human form of Christ. The Divine Comedy ends with Dante trying to understand how the circles fit together, and how the humanity of Christ relates to the divinity of the Son but, as Dante puts it, “that was not a flight for my wings”. In a flash of understanding, which he cannot express, Dante does finally see this, and his soul becomes aligned with God’s love.